The Connecticut State Colleges & Universities system, with its 90,000 students and $300 million in state aid, is among the most expensive and most important government operations. So when Michael Gargano Jr. abruptly resigned his $224,554 job as provost last month, the taxpayers of Connecticut might have felt entitled to a robust exit interview, to learn why he was dissatisfied with the governance of the system and in particular how his thinking differed from that of his boss, Board of Regents President Gregory Gray. But that’s not likely to happen. As my colleague Kathy Megan has reported, a separation agreement Gargano and Gray signed contractually bars Gargano from uttering a sentence that disparages Gray – or anyone else connected to the state’s higher education network. Specifically, Gargano’s deal prohibits him from making any derogatory statement about the Board of Regents, about his employment with the Board of Regents or about any current or previous member, employee or officer of the Board of Regents. On the other side of the ledger, the agreement continues Gargano’s paycheck for nearly 16 weeks, at a cost to taxpayers of more than $65,000. That payment – roughly equal to a year’s salary for a typical state employee – is not required by Gargano’s employment contract. As is typical of negotiated employment separations, the agreement also bars Gargano from suing his former employer. There’s no indication he had any basis for a suit, although if he was in fact treated in a way that violated the law, perhaps that, too, is something the taxpayers had a right to know. So in the end, an employee of the public has signed off on giving tens of thousands of dollars of the public’s money to another public employee as part of a deal that will keep the public in the dark about the public’s business. These days, video cameras follow candidates everywhere, from intimate meet-and-greets to massive p olitical rallies, and when rivals dig into that footage, they face a choice. They can look for some unflattering off-the-cuff gaffe to embarrass their opponent, or they can cherry-pick and string together piecemeal quotes to make their challenger appear to be saying something he or she is not. 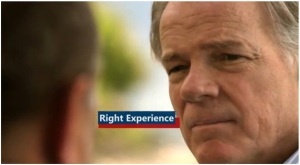 Claim Check: A Foley Misstep on His Time at The Bibb Co. Readers who are keeping count will know that this is the seventh time Claim Check has considered Tom Foley’s tenure with the Bibb Co. 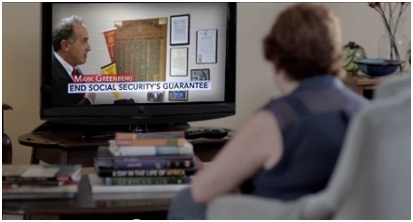 They may also recall that we have typically deemed ads from both sides to be generally accurate, even when they lack context or rely heavily on opinion — which doesn’t lend itself to fact-checking. Instead, what has gotten the political spinmeisters in real trouble are statements in ads that are demonstrably and unequivocally erroneous — incorrect statements that leave little or no room for interpretation or truth-shading. 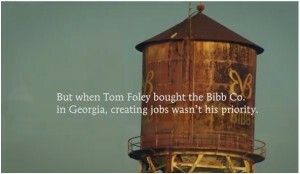 And that is the fate that befalls Foley in his latest ad in the tug-of-war over Bibb. 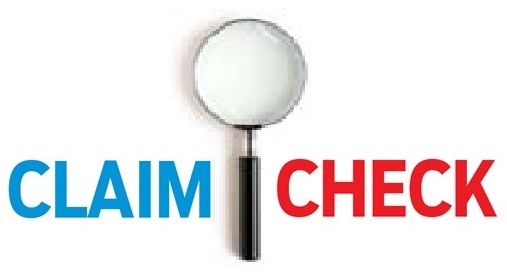 Claim Check: Malloy Hits – Again – at Tom Foley and the Bibb Co.
Five times now, Claim Check has evaluated assertions about Tom Foley’s involvement with the Bibb Co. textile firm in Georgia. And five times now, we’ve found that one side or the other didn’t get the story exactly right — though usually without veering so far from the truth as to earn an unfavorable rating. Whatever advantages attach to incumbency at election time, there is one obvious potential downside: Officeholders create an inescapable trail of policy decisions and are typically linked to the fortunes — and certainly the misfortunes — of their dominions during their terms. 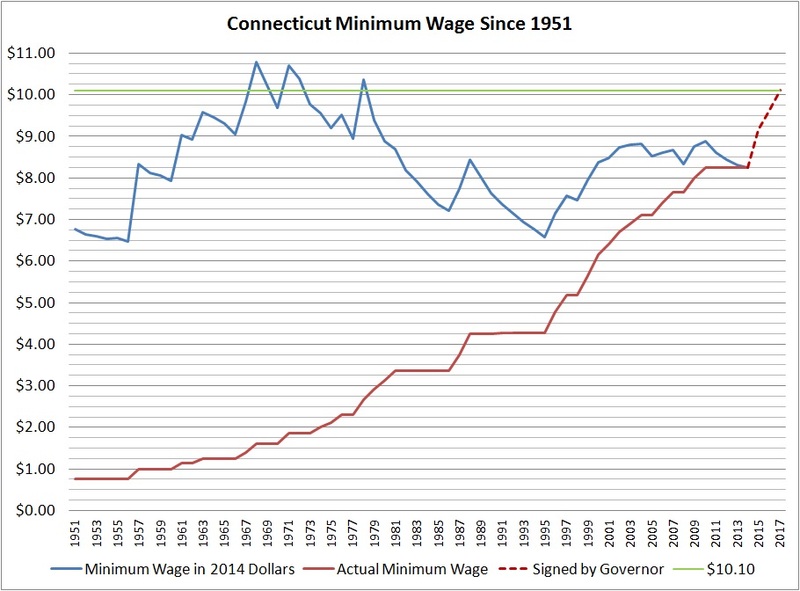 Connecticut is making national news with legislation boosting the minimum wage to $10.10 an hour beginning in 2017. With Gov. Dannel P. Malloy’s planned signature on the bill Thursday evening, the Nutmeg State becomes the first in the nation to agree to eventually knock through the $10 mark for the lowest-paid workers. But adjusted for inflation, we’ve topped $10.10 before – albeit not for several decades. As the chart below shows, the hourly minimum wage, in 2014 dollars, exceeded $10.10 in 1968, 1969, 1971, 1972 and 1978. The top rate was in 1968, when the inflation-adjusted minimum was $10.78. The $10.10 wage is, however, significantly higher than the average inflation-adjusted minimum wage over the last 63 years. Since 1951, the lowest-paid workers have earned an average of $8.39 in today’s dollars. So $10.10 isn’t the most Connecticut employers have been required to pay, and it certainly isn’t the least. And that alone will assure the topic remains controversial and politically divisive. 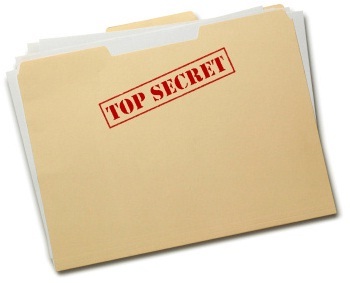 A Sunshine Week Question: Why Are Evaluations of Public University Professors Kept Secret? I began teaching a journalism class at Central Connecticut State University this semester, with the taxpayers and students’ families picking up the tab for my modest salary. At some point, I imagine the school will evaluate my performance, and when that happens, it will be the official policy of the state legislature that it’s none of the taxpayers’ business whether I’m doing a great job or a crummy job. If you teach in a public school in Connecticut, from Kindergarten to a Ph.D. program, state law deems that records of your “performance and evaluation” are off-limits to the public that pays your salary. I was given a stark reminder of that today, just as transparency advocates are wrapping up “Sunshine Week,” a national campaign highlighting the importance of open government. Today happened to be the day I was provided with a large number of documents I had requested from the University of Connecticut, which included the draft of a review of Robert Miller, the former UConn music professor now under the microscope for allegations of sexual misconduct that spanned decades. The evaluation runs 28 pages – 19 of which have been blacked out completely, and the rest of which have no more than a sentence or two visible. There is a list of “Dr. Miller’s Strengths” and another of “Dr. Miller’s Weaknesses” – but they have been almost entirely blacked out. There is a section marked “Comments from the Faculty” – immediately followed by a page and a half of black boxes. Under “PERSONALITY ISSUES,” the report notes that neither the review committee members nor those interviewed are trained psychologists, but the rest of section, taking up nearly two pages, is completely redacted. This isn’t the university getting overly exuberant with a magic marker; it’s just following the law. As I’ve written before, a move to keep teacher evaluations secret began 30 years, resulting in the passage of a law titled “Nondisclosure of records of teacher performance and evaluation,” which made teacher evaluations in local public schools exempt from the state’s Freedom of Information Act. Legislators were persuaded that parents would use evaluations to shop for the best teachers and pressure schools to place their children accordingly – though every parent I’ve ever talked to already knows who the great teachers are in their schools. And even while the bill was pitched as a way to prevent teacher-shopping, the final language covered all professional staff in a public K-12 school except the superintendent. Assistant superintendents, principals, librarians – all covered by the law putting their performance evaluations off limits. Before long, that sort of secrecy started looking good to those in higher education. And in 1989, a similar statute was put on the books blocking public access to performance records for the faculty and professional staff at UConn, the state university system and the state’s technical colleges. And that’s why the document below is mostly black boxes. Transparency advocates would like to change that. I’ll start with my eval. If and when CCSU gauges my performance, I’ll be happy to send a copy to anyone interested in reading it. 310 Million Americans. Three Dozen Fun Facts. Housing values are down. Household sizes are up. Marriages are down. Unemployment is up. Manufacturing is down. College degrees are up. Annual estimates from the Census Bureau in hundreds of categories became publicly releasable early this morning, and my colleague Mara Lee has a story looking at how Connecticut is getting older – but not appreciably faster than the nation as a whole, suggesting concerns about an aging workforce may be unduly alarmist. Beyond those big-picture tales hiding in the numbers, however, there are scores of interesting data points capturing the gradual shifts and natural waves of a fluid society. Below are three dozen selected Census figures for the United States and Connecticut, showing the 2012 figures just released and figures for the same categories in 2008, along with the percent change for both the national and state figures. The numbers, drawn from the American Community Survey, an annual sampling of the nation’s 310 million residents, paint a numerical tapestry of the country through questions on labor, housing, income, ancestry, education and even what portion of the labor force walks to work. 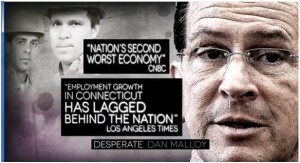 (2.8 percent nationwide; 3 percent in Connecticut). To dig into countless gigabytes of other Census Bureau data, log on to American Factfinder, the bureau’s online search tool.